You can’t militarize space – that’s the rule underlying decades of peaceful development of space programs. But with scarce resources and global climate change, secret militarization programs are underway by major powers, namely India, the North American Union, and the Sinese Federation. 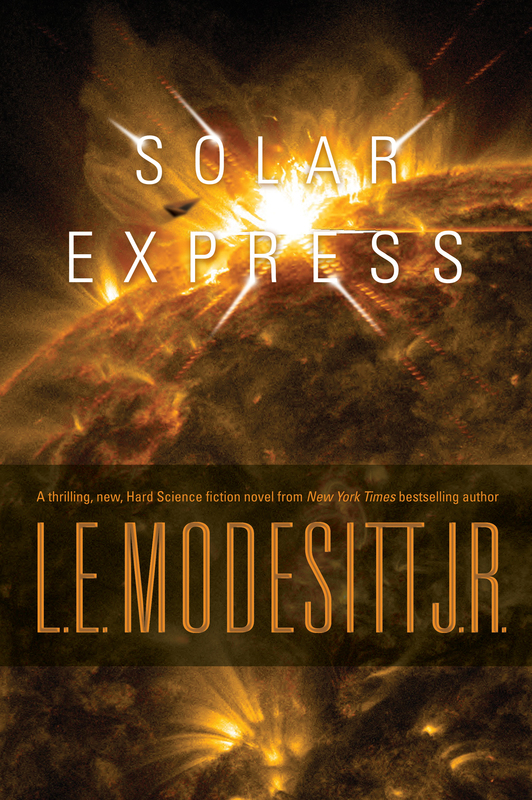 When Dr. Alayna Wong-Grant discovers a strange object that initially appears to be a comet, but is soon revealed as an alien structure, that discovery ignites a race between countries to see who can study and control the artifact dubbed the “Solar Express” before it possibly destroys itself. Leading the way for the North American Union is Alayna’s friend, Captain Christopher Tavoian, one of the first shuttle pilots to be trained for combat in space. But, as the alien craft gets closer to its destination, it begins to alter the surface of the sun in strange new ways.